Happy new year! It's traditional for me to reflect on the year that's just finished on the first of a new year, and this year's a weird one because I'd love to just say "this year sucked", but there were some fantastic things that happened this year amoungst all the sickness, disappointment, frustration, and hard work. So let's try and focus on those. Let’s have a look back at the garments I made this year. This is a bit tricky because I was really, really bad at doing photoshoots and finished make blog posts this year. Part of that was because I was ill for five months, and for another five months I was overweight from the time that I was ill and couldn’t comfortably fit into most of my clothes (so not really optimal conditions to do “I feel pretty” photoshoots). I’ve kept a list of everything that needs documenting, though, and I’ve got some posts queued up for the next few weeks, but I managed to represent most everything in the collage above (except three: a yellow French terry Paxson I made for James, another Paxson for him in two-tone grey quilted jersey for his birthday, a teal velvet long sleeved tee for me, and a black soy jersey teeshirt). So with that in mind, lets look at the stats! This doesn’t surprise me in the slightest, tbh! When I was feeling very ill, low, fat, and down, I just cranked out a ton of teeshirts using the Loose Fitting Top Block from my book, which accounted for a large amount of those Tops! I think this might be the most number of different pattern companies used for quite a few years! 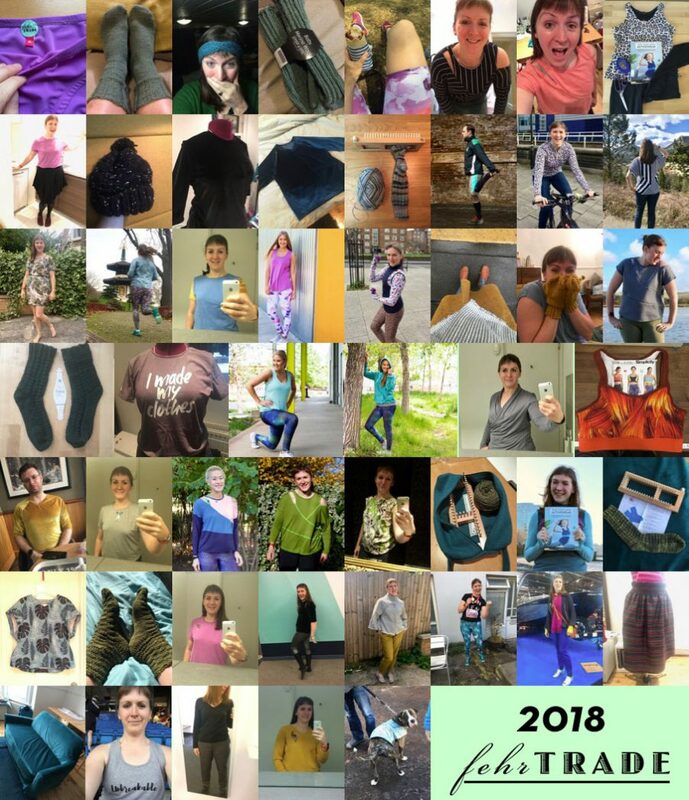 Most were me just doing my own thing, or sewing from my patterns or book, but I used a bunch of Jalie patterns for my Craftsy course (because they’re ace!) and I reused the same Seamwork Paxson pattern four times because James loves it! 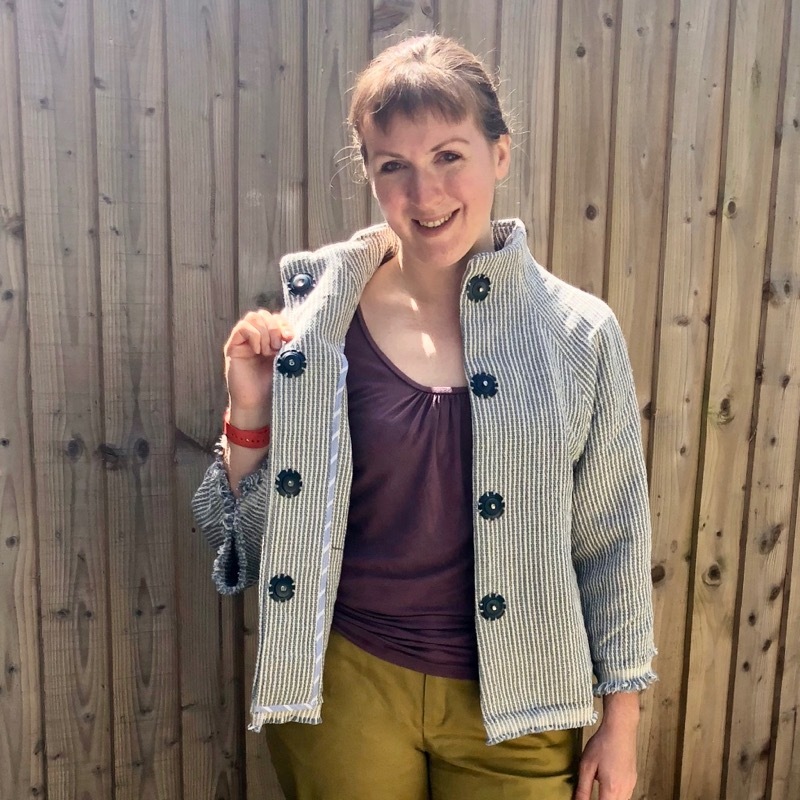 It’s also worth noting that three pattern companies are ones I’ve sewn for the first time, too – Wendy Ward, Tilly and the Buttons, and Swedish designers ATACAC. Book launch – No points for guessing that this one would be top of my list!! 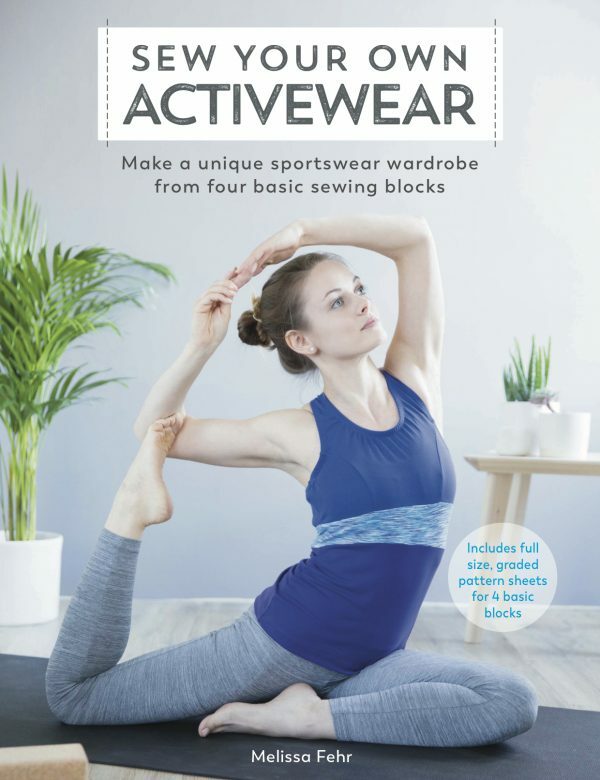 Yes, my Sew Your Own Activewear book launched in the UK at the end of January and the USA in March (and multiple countries in between). This was a culmination of a LOT of work and I really wanted to highlight everything that went into it. So I set out to take one design a week and really delve into the background of the design, what it’s great for, how you can change it up, and show you the various versions I made for myself. Unfortunately I got ill a few weeks after the book came out so I didn’t get to post as many tutorials as I’d hoped for the later designs. But it’s been a real joy seeing all the different versions you all have made in the months since, so please do continue to tag me in on social media when you make something from the book! My Craftsy course – This was in the works from the end of 2017, but it got pushed back a little, with my eventual filming happening in May this year. I was still feeling really bad, struggling against three separate nasty viral infections during the filming, but because I Am A Profesh, I sucked it up when the cameras were on and just paid for it afterwards (I pretty much slept every hour I wasn’t on set!). But I’m super proud of the finished “Serging Activewear” class and I don’t think you could tell I was ill at all! I’m hoping to film another class next year and hopefully not be sick this time so I can actually enjoy it!! 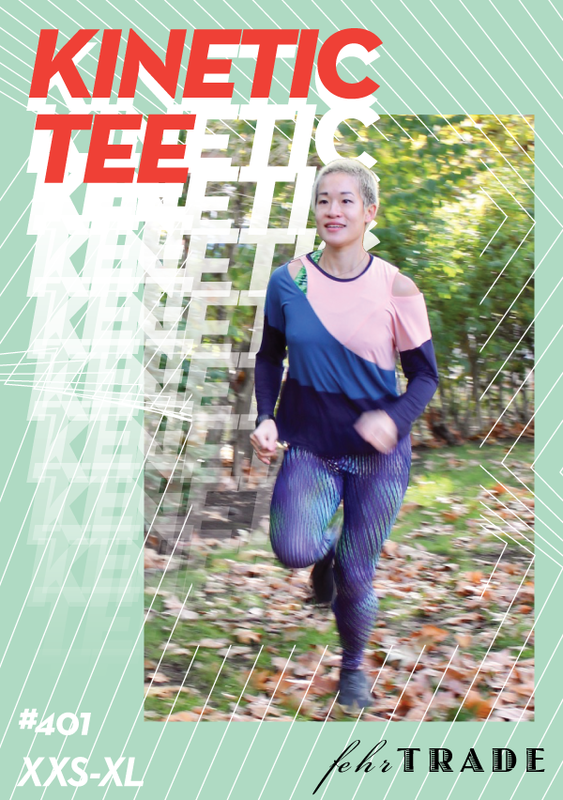 The Kinetic Tee pattern – I finally launched a new pattern you guys!! Even so, this one took me nearly five months of development in amoungst my day job and spending every weekend at the boatyard. I’m really proud of all my patterns, and I especially love that the design lines of this one are so unique! That it works well for a wide range of bodies is just a bonus. Podcasts! 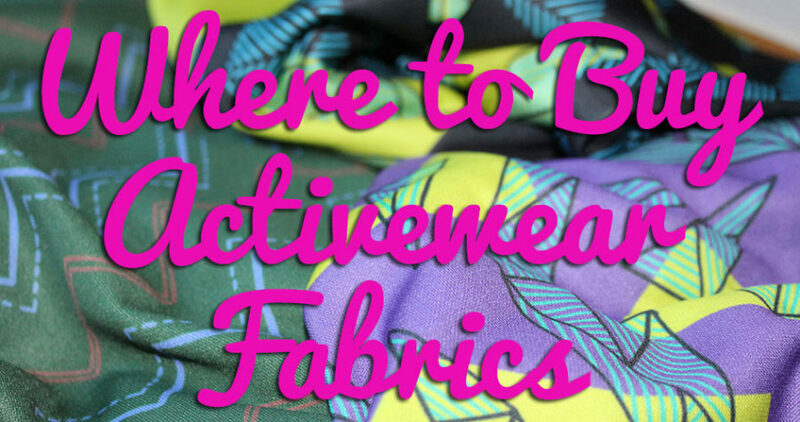 – I loooooove talking about activewear sewing, so I was thrilled to finally meet up with Gabby and Megan over the summer for the Stitcher’s Brew podcast. And ever since Nadia told me about her quest to help crafty people become organised, I was all-in on helping her spread the message! So getting to speak with her about my organisation tips for small sewing spaces on her Clear the Decks podcast was just great! Teaching not one, but two activewear masterclasses at The New Craft House – these are always so much fun to do, but they take so much out of me! 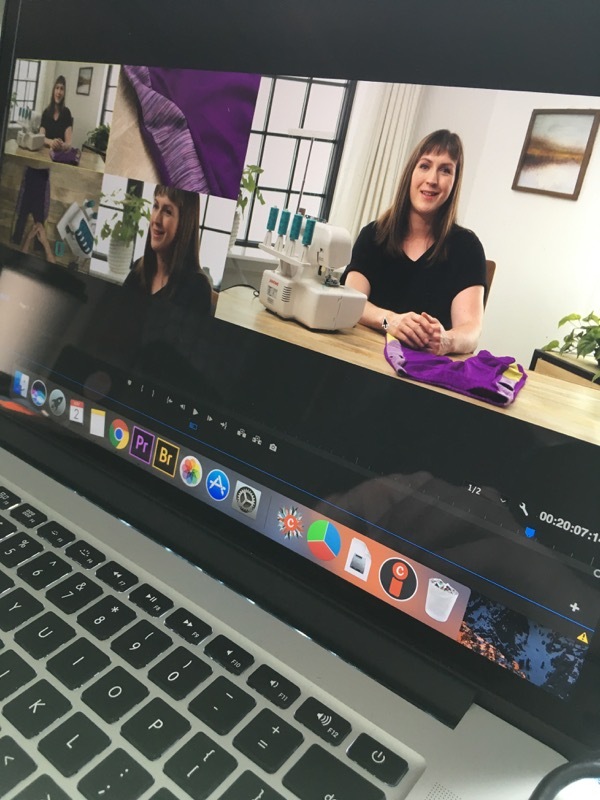 But I love helping people see how easy sewing your own activewear can be, and watching the confidence build throughout the day. Speaking! – Being so ill limited my public speaking opportunities somewhat, but I dragged myself out to the Village Haberdashery in March to speak at their monthly “Make Like a Boss” event. It was really fun to share all the small business things I got wrong, what I’d do over, and what I got right, and I love that the audience said I was “so real”. Yep, no PR-speak here!! A big anniversary – Last week marked 5 years of FehrTrade Patterns! How crazy is that?! 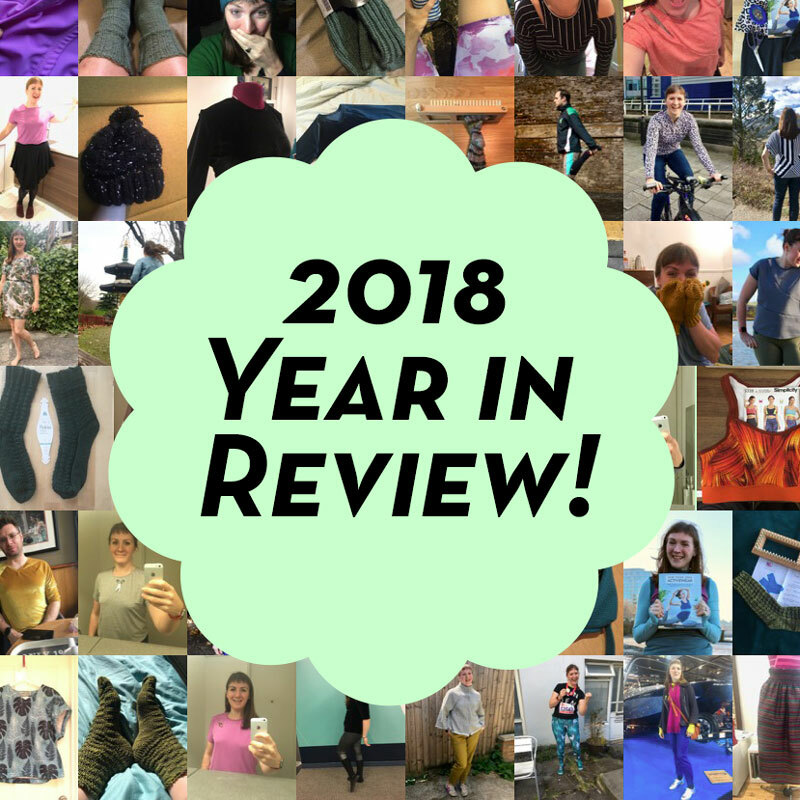 It certainly doesn’t feel that long ago that I was releasing my XYT Workout Top and PB Jam Leggings out into the world, but the dates don’t lie! Since then I’ve released twelve more patterns, plus written a whole book full of activewear designs, written a feature article for Threads magazine, something like five articles for Seamwork magazine, collaborated with Love Sewing magazine on a sewing pattern, filmed a feature class with Craftsy/Bluprint, plus taught countless classes all around London. Who knows what the next five years will hold?? A doubly-recycled denim coffee sack jacket – this one was easily my number one make of 2018 – I’m so proud of the construction, attention to detail, planning, and the final garment is one I wore all summer long (despite not having pockets!). 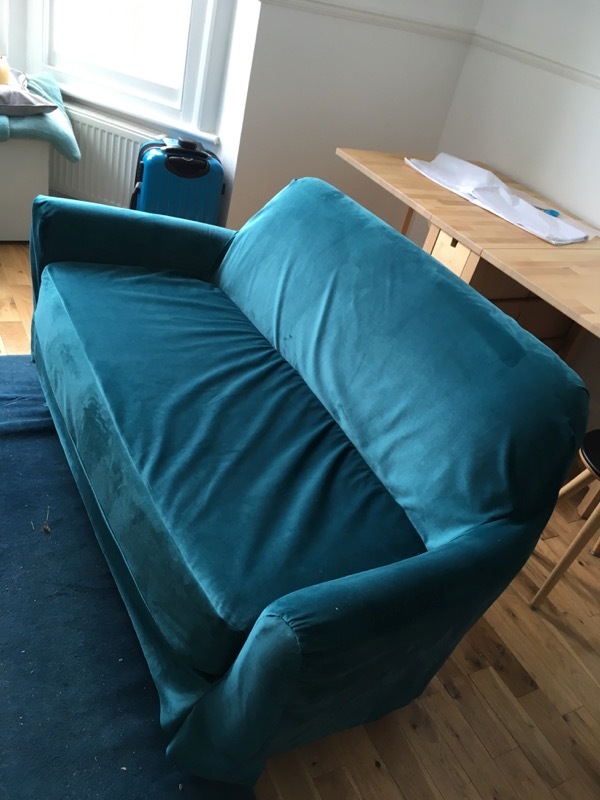 Upholstering our sofa – this velvet slipcover was an absolute BEAST to sew, but I’m super proud of myself for pushing into new territory (I’d never sewn a slipcover before!) and while the finished product was by no means perfect, it still made a vast improvement in our daily lives. Just don’t ask me to do it again any time soon! 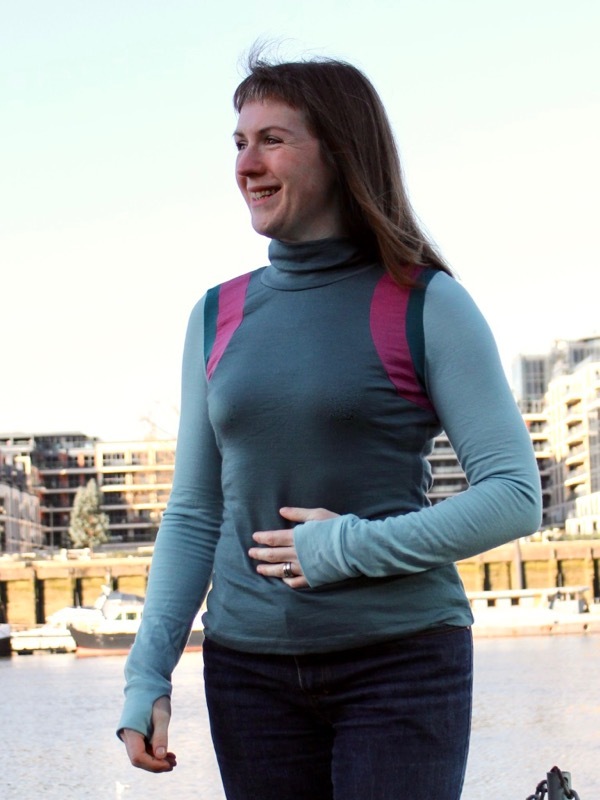 My merino jersey Winter Base Layer top – I loved the sample worn by our model Jade in the book so much that I ended up making my own in similar colours using the same merino wool jersey! And it’s one of my favourite cold weather tops ever. ATACAC tee – I cannot resist a 3D puzzling pattern, and this teeshirt pattern by Swedish designers ATACAC was too crazy to pass up. It was a bonus that the finished teeshirt really worked for me, though the cheap jersey pilled like crazy after about three wears so I fully plan to remake it! Ugh. I just feel so frustrated and sad about it all this year. The only thing I wanted from this year (the ONLY THING) was to run another Boston Qualifying marathon time so I could finally run it for my 40th birthday next spring. And it was all going so well until February, when six weeks of flu turned into five months of hell. I had to DNS my March half marathon, defer London marathon to next year, not even be able to sign up for Hackney Half, then eventually drop down to the 10k distance at the Reykjavik marathon, which would’ve been my last chance to qualify for Boston. Hell, I wasn’t even well enough to take part in the British Transplant Games this year (though I did go to cheer and lap up sympathy!) and I had to defer my Ride100 ballot place, too. 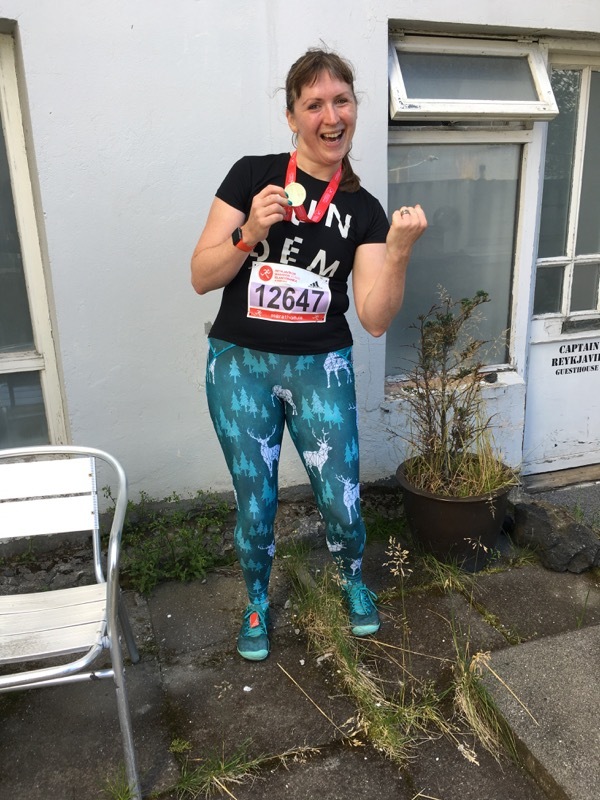 So even though I only earned one measly medal this year, I ran the Reykjavik 10k in me-made Steeplechase Leggings and gave it my all with the goal to try and enjoy the experience and scenery and high five as many kids along the route as possible. I also kept up with the weekly Pilates classes held in our office, and even got back on my bike in July to cycle commute the 10km each way to the office most days. And while we were living in the flat this summer, I was actually close enough to the local parkrun to attend regularly, which helped my recovery along from “just had chemo” to “slightly faster than my marathon pace”. I like to pick a theme for the year just gone, and I was going to choose something like The Year of Frustration And Chaos, but to put a more positive spin on it, let’s say instead that it’s “The Year of Overcoming Challenges”. I felt like I’ve struggled through this entire year, overcoming being ill with multiple viral infections from February through June, overcoming the round of chemo needed to get rid of the Epstein Barr Virus in June, overcoming the chaos that comes with moving our boat into the boatyard in April and living in a flat temporarily with our possessions spread across a shipping container, storage unit, and small flat, overcoming the long, slow, frustrating road to rebuilding my physical fitness, overcoming sewing in a room where I can’t hang anything on the walls, overcoming a week long, high pressure filming while barely able to stand up for five minutes, and overcoming my own pride when I had to face up that I would not be running a Boston Qualifying marathon this year and that 10km was challenging enough. Upping my loom knitting game – this year I learned to purl! I got an adjustable sock loom and then also a hat loom, made six pairs of socks (two as gifts), a twisted headband, a pair of mittens (hello increases and decreases! ), and two hats. My office job. This continues to be a bright spot in my life. Some people assume that if you have your own business, surely you want to do it full time, have your own studio, and hire people to help. But that’s not where I need or want to be right now, and working four days a week in the music industry allows me to have a semblance of balance and perspective, even though it means I’m left with only Fridays, weekends, evenings, and lunchtimes to work on FehrTrade! 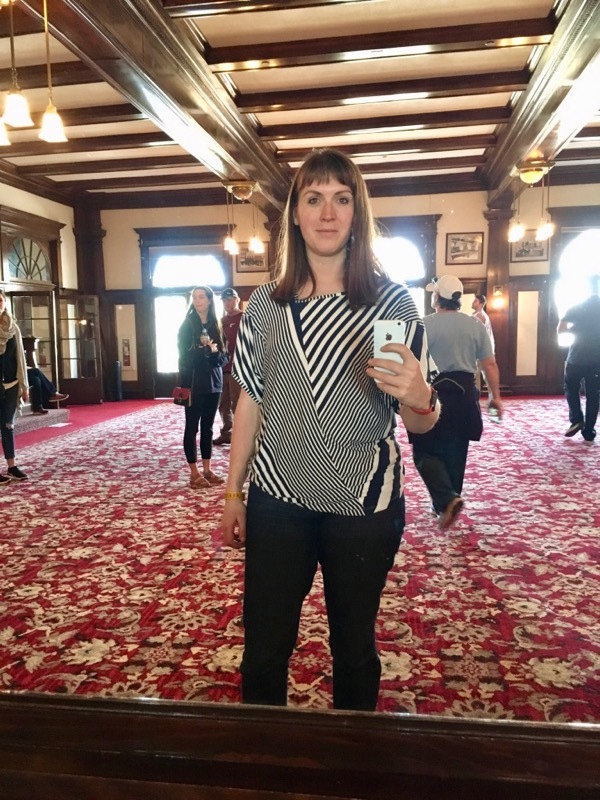 Sewing Weekender – This was my third year attending this fantastic two day event in Cambridge, and I was super pleased to attend as a regular punter instead of a speaker this year! And big thanks to those of you who brought your books to be signed, or bought copies from me over the weekend, too. And on a personal note, I started meditating regularly this year, for a variety of reasons. I used to think that meditation was just sitting in a silent room and trying not to think, but omg, having audio-guided meditation and an accountable group of like-minded people at my office has really changed things for me. Yes, it’s still hard, but I’m undoing years of issues along the way and helping to become a better human being. So even though a lot of really hard and negative things have happened this year, once I stop to pull out the positive, it turns out there was a lot to be thankful for this year, too. Those bright spots really do shine through the storm clouds! If you’re curious to see how 2018 stacked up to previous years, you can have a look at previous roundups here: 2017, 2016, 2015, 2014, 2013, 2012, 2011, 2010, 2009, 2008, and 2007. Separator image Posted in Article, Inspiration and tagged with reflections. You’ve had an amazing year! I sympathies that it wasn’t all you would have liked and had some very major challenges. But wow! I love checking in with your latest projects and ordered your book before it came out this year. It’s been fun seeing your book in my local fabric stores (we still have a few good independent stores in Seattle, but they’re getting scarce). It was amazing when I ran into your book at my local library! 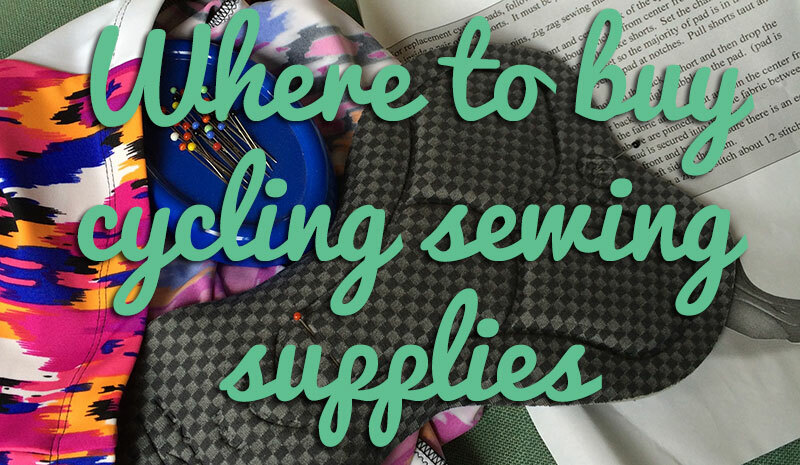 You’ve been a great sewing resource for years – keep up the great work! Happy 2019! Great blog Melissa and a difficult and beautiful year. I finally bougth your book and it will be my topic for 2019 to sew all items. I am a bit afraid of the fabrics and of the language as I am dutch and I have to translate everything. Classes in english are also difficult for me to understand as I am bad hearing and I need subtitles than to understand. I will certainly blog (which is dutch) about my experiences with you book. As a runner I realy understand how difficult it is not being able to run your races due to health problems. I wish you all the best for your health next year. some ups and downs for sure but so many accomplishments – good luck with everything and I hope 2019 is a healthy one for you. Happy New Year! I hope that writing this post and seeing everything that you did achieve has helped you see 2018 in a better light. Even your athletic achievements which you were unhappy about are more than most people manage! Anyway hopefully 2019 will be a great one for you. Well done for doing your best this year, and thanks for the updates.